“We must take the opportunity to promote Ghana in order to balance the negative sentiments prevailing against West Africa as a tourism destination. If we don’t seize the opportunity, someone else will do that,” he stressed. I agree. This isn’t coming from me. This is coming from the grassroots, the Ghana Hotel Association of the Central Region, the heart of Ghana’s tourism industry, site of UNESCO world heritage sites Cape Coast Castle and Elmina Castle. 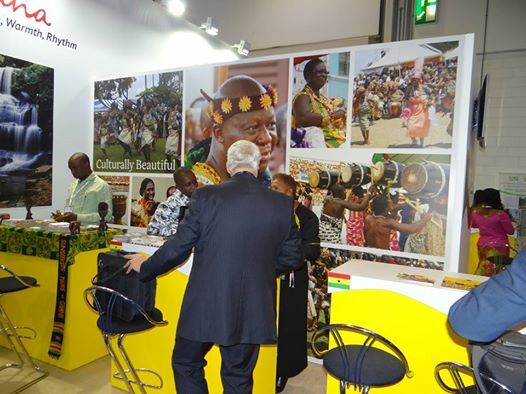 Start spending the almost US$2,000,000 on international marketing started at the WTM (World Tourism Market) recently held in London where Ghana was well represented. Ghana Tourism Authority here’s an example, immediately right after the WTM, the Africa Travel Association held their world-wide congress in Uganda. What a boost to Uganda. Good timing! If you look at the heart of Africa, the continent’s greatest tourism assets are its people, its humanity, and its warm hospitality. Christopher Scott yes, the vast majority of African countries remain safe and you’ve got to go and tell the world. Required reading. And again, needless to say, I posted this on the Ghana Tourism Authority’s Facebook page along with the second suggestion, to attend the New York Times Travel Show in January. Christopher Scott The tourism development plan includes the judicial use of tourism levy for international marketing at the New York Times Travel Show in January (Friday 23rd – Sunday 25th)! Ghana will be a tough sell; but if there was an announcement of a pilot program to exempt US citizens from 30 day tourist visas, it would create a lot of interest. Let’s get innovative; let’s get creative. And of course, what would a post from Christopher Scott be without a plug for SCRAP SHORT TERM TOURIST VISAS TO GHANA. How about an announcement of a pilot program of an exemption of tourist visas to US citizens. Believe it or not, its readers of the NY Times that are monied and adventurous!! !